During the Asian Games in China people are fined $7's for smoking. 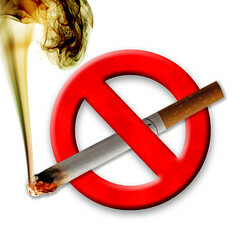 They are also fined for smoking in public places such as elevators, office buildings, and other non-smoking areas. The least we do is not smoke in the stadium they built for us (although we did buy $120 million dollars worth of Chinese traffic STUFF for our cars when this project began). Can you imgine trying to charge "La Ultra" and "La Doce" Dos Rojos y Medio (these are two soccer team groups that rarely have the money to enter games and often smoking and drinking outside the stadium) for each cigarrete they smoked. This has been quite the week to celebrate no smoking. I have a close friend that said he was got into a fender bender in my car and he did not have the funds to pay for it because he licensed had expired the day before. I really felt bad for him but told him if he quit smoking (after 30 years) I would clear his debt with me. It has been two weeks and he is going great. Its obviously hard as hell but this is a close friend that has overcome everyother addiction there is so he has all the tools he needs to do this so I told him to just do it. I just read in the front page of the Nacional Newspaper that the new National Stadium dontaed by China will be smoke free. I think this is funny considering the day before the Costa Rica national football team just signed a very large contract with a Mexican coach that smokes during games. I thought to myself what is this guy going to do. It wont work the bribe trick that I am doing with my friend because they already signed the contract and the money is on its way. It will be interesting to see. But anyways I think its a great gesture to a beautiful new place Costa Ricans can call home to there national events seating over 35,000 in a smoke free environment. It's an excellent move for the younger generations also to see this. The construction is 90% complete and almost ready for a "rumble in the jungle" although I dont think Ali is. SHOULD COSTA RICA LABOR HAVE BEEN USED TO BUILD THE STADIUM?